Mina's roommate has a 3d printer and continuously wastes large amounts of plastic, throwing away print after print; he recognized that there was a need. 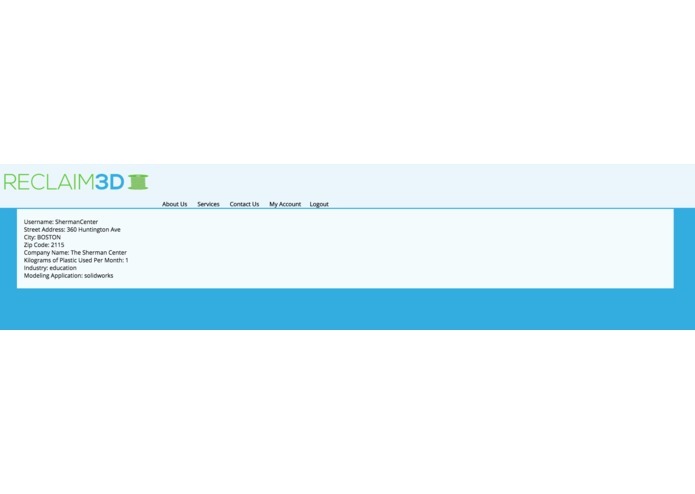 RECLAIM3D offers a collection service for used 3D printing materials for corporations and institutions, as well as amateur users, and uses the Protocycler to recycle used filament into spools of new filament for ABS and PLA plastic. In return for the used prints, RECLAIM3D will sell back recycled spools of plastic at a discounted rate. 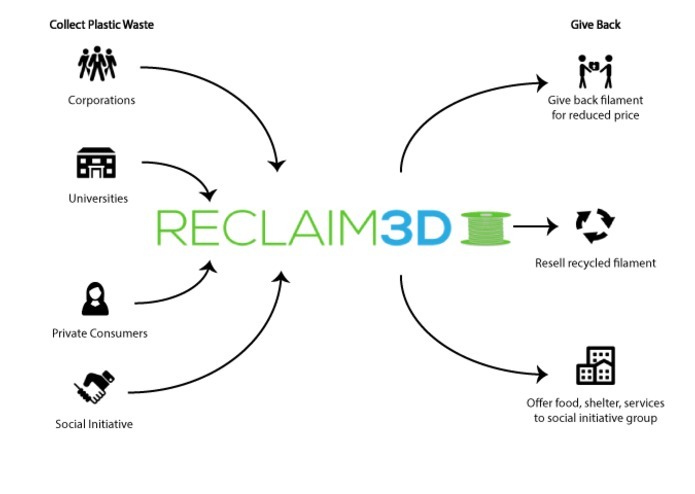 As a social initiative, RECLAIM3D also accepts compatible plastics from the public. Most of our challenges were associated with learning as we went along. Cleanweb was an opportunity for experiential learning and growth, and taking it as such, group members came in with no website design experience and learned HTML, CSS, PHP, and how to write and invoke an API for use in designing the website. We are proud of our ability to come in yesterday with no previous experience in databases or APIs, and minimal experience in front-end web design, yet finish the Hackathon today with a fully functional, attractive-looking website. 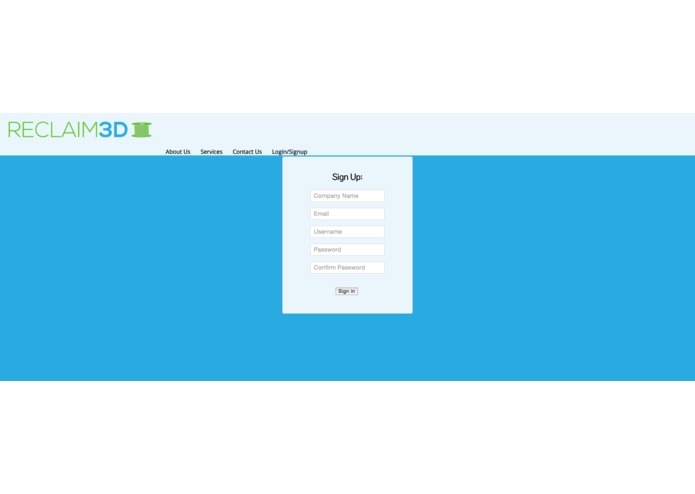 We want to create a online process that streamlines the connection between our donors to our facilities to create the pickup process of 3D printed waste as easy as possible. Once RECLAIM3D is a functioning preventative sustainability company for 3D printing - we want to find the next up and coming technology and create another solution to the sustainability issues it may create. 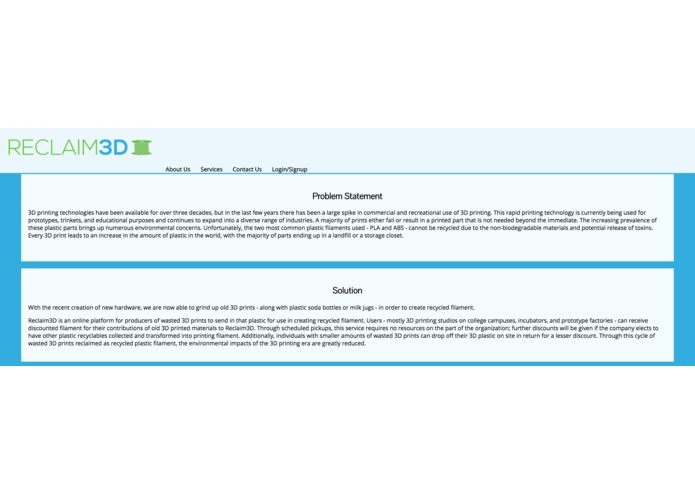 I wrote the front end and worked on the site design and content. Undergraduate at Northeastern University, gaining experience in full-stack and mobile development; hackathon hobbyist. 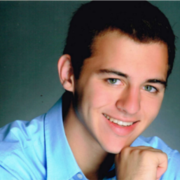 An aspiring full-stack developer, currently an undergraduate at Northearstern University. Looking to improve in web & mobile development. 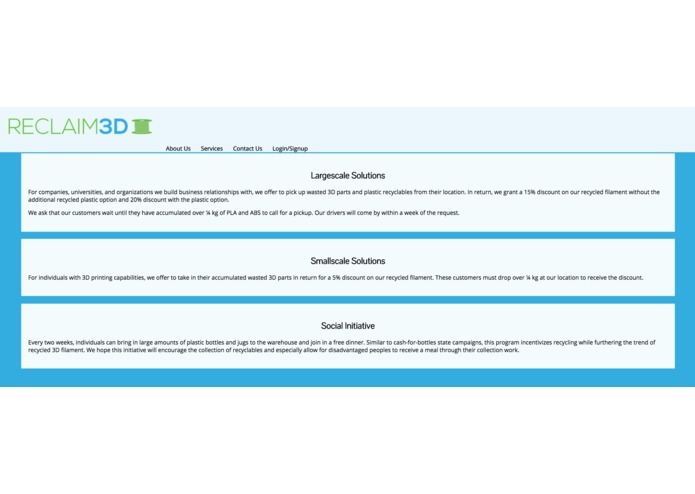 I contributed to the front-end development and design of the website, as well as handling the preliminary visualization of theoretical data that our database will include. I worked on the front-end and wrote all the content for the website. Leave feedback in the comments!